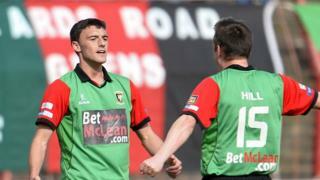 Goals by Curtis Allen, John McGuigan and Danny McKee give Glentoran a clear cut home success over Crusaders. 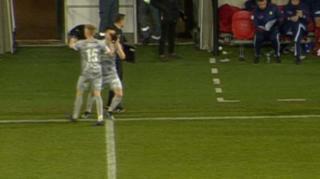 Both sides finished with 10 men as Crusaders skipper Colin Coates and Glens striker Allen were sent-off in the second half. The defeat means Crusaders are just one point ahead of Portadown in the battle to finish third in the Irish Premiership.